Much of the post-holiday blues and Christmas depression that occur in the United States may have to with the way Christmas is celebrated in the U.S. People often feel deprived and lonely, in stark contrast to all of the pre-Christmas cheer. Others feel let down and weighed down by food and debt after the Christmas holiday. Changing the way the holiday is celebrated can yield completely different results. Let us humbly keep in mind what we are preparing for the birth of the Messiah Jesus Christ our Lord God and Savior. The birth of Christ brought joy and hope to these who had been in darkness and the way the Orthodox celebrate Christmas is designed to let people feel that hope again. The Orthodox Church teaches that Advent represents the time before Christ, when God’s people were lost and disconnected from God. Instead of “pre-celebrating” the Christmas holidays during Advent, Orthodox Christians participate in a solemn, six-week Nativity fast (started on November 15th until December 25th) during this time. It is a spiritual practice that helps people grieved their losses,endure their sadness, feed their souls, and ultimately, experience joy on Christmas day – the Holy Nativity of our Lord God and Savior Jesus Christ. During the fast, all meat, cheese, eggs and wine are avoided on most days and primarily vegetarian diet is kept. Fish is allowed except on Wednesdays and Fridays and the last week of the Nativity of our Lord. In place of food, drink and partying during Advent, the faithful are asked to nourish their souls with prayer, communion with their fellow parishioners, and drawing closer to God. For those who are struggling with personal problems, this period can give them a spiritual boost. 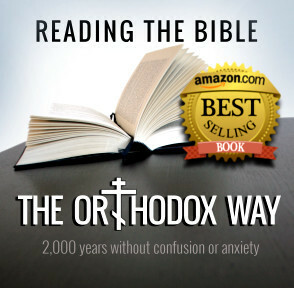 This helps Orthodox Christians prepare to receive the joy that Christmas day brings. We can spiritually look forward to the joy of the birth of our Lord and this can help take away the blues, as after all we do celebrate the birth of our Lord for ten days afterwards. In addition to fasting and increased prayer, almsgiving is expected to increase during the Nativity fast. This means, specifically, giving money to relieve poverty and material need. Doing this offers a counterbalance to people’s urges to overspend and over-indulge in material goods during Christmas. 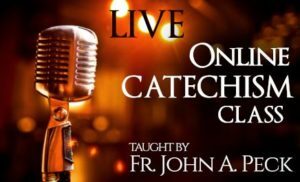 It brings the faithful in contact with others who are far worse of financially, quelling feelings of personal deprivation that tends to arise in this culture where so many have so much. These acts of almsgiving restore Orthodox Christian’s connection with humanity. They remind the faithful of Jesus’ Great Commandment to love one another, which is the primary act Christians are in charge with. It is a reminder that life has more meaning than the consumption of material goods. 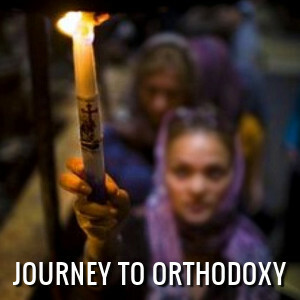 It helps Orthodox Christians get out of the rut of the day to day life and put their spirituality first. The faithful are prepared to experience true joy on the Nativity of our Lord that is Christmas Day. 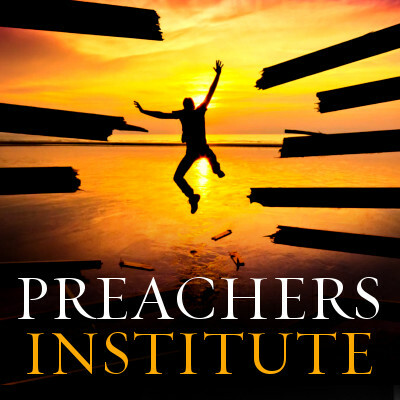 Toward the end of the fast, people feel like they have accomplished something difficult. On Christmas day they break the fast, exit the period of darkness and celebrate the light. The feast is that much sweeter because of the famine which proceeds it. Because they have done the work of nourishing the soul they are now free to indulge in the God-given blessings of food, drink, material things, family, friends and fun. 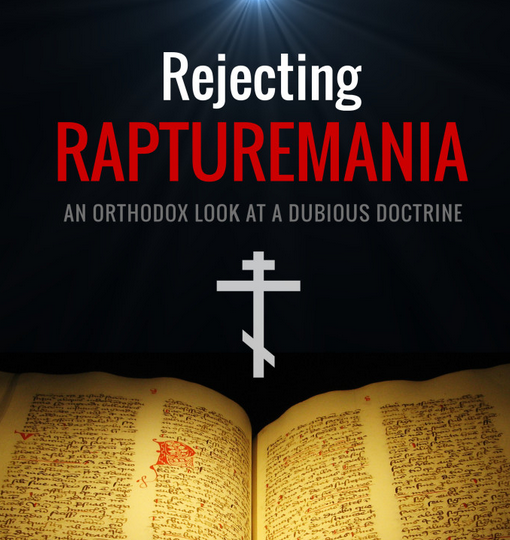 Orthodox Christians believe that God wants people to be joyful. Even those who are lonely or poor, having their souls filled, may see a path to a more satisfying life, or a way to comfort their pain and experience joy in small things after breaking the fast. The baby in a manger offered hope to the world, Christians are called to follow in His footsteps and to be the light of the world. No person is too faulted or too ordinary to make a difference, according to Orthodox teaching. Each person is called by God to do good in the world and to love one another. + V. Rev. Archimandrite Nektarios Serfes – Who prays for you and with you! The V. Rev. 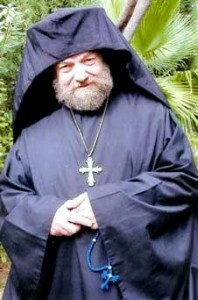 Archimandrite Nektarios Serfes is the pastor of Ss. Constantine and Helen Greek Orthodox Church in Boise, Idaho. Father is also the chair of the Decani Mission Fund.